I liked Poland. I hope to see more of it on this trip. But, we choose our destinations based on what cheap flights we can find. Mark looks online and finds, for example, “a flight to Belgium on Tuesday, one to London on Wednesday, and Oslo on Friday.” From this we pick the one we like the best. Out side of Italy, where the trains are inexpensive, fast, and reliable, this is the most financially friendly way to travel. At the start of this trip I was hoping to travel around Europe by train. We tried that in the UK. But soon we realized that train travel there is very time consuming unless you are going from one hub to another. Also, everyone starts their parties on the train. People bring ice boxes filled with beers and wine coolers, which is fine since someone is always offering me drinks. But, I don’t like alcohol. Also, since Mark and I are traveling from one tourist heavy spot to another we were hoping the train rides would be quiet and we could nap or listen to pod casts. But at least in Britain the train tickets aren’t too expensive once you get a railway pass. In Germany the trains are quite pricey. The train rides are very quiet though, but that’s not really any consolation when you’ve been stuck on a train that hasn’t moved for 3 hours. On a 2 hour journey, I would gladly take a noisy British train that’s only 15 minutes late over a quiet German one that arrives 4 hours behind schedule. Italy is the only country where I have very little memory of the train rides. That’s because nothing eventful happened. The trains departed on time and arrived on time and always from the stated platforms. The rides were smooth, quiet, and peaceful. I cannot ask for anything more. But let’s get back to Poland. It was a great country with great food. In Warsaw we tried as much Polish food as we could find. Unfortunately, I kept forgetting to take photos of my food until after I had eaten it all. The great thing about Poland is that things are hardly ever too expensive. It’s like you’re in Europe, but your wallet isn’t. Of course we visited the palace and several museums. We also saw some quirky things too. One was Warsaw Fotoplastikon. It’s a small exhibit of a really big View-Master. With it you can see photos of Warsaw at the turn of the 19th century. One could look at these photos and try to find the spots now, but Warsaw has changed so much over the past 100 plus years. Speaking of View-Masters, we found a few of them on the street. They were on the boundary of where the Jewish Ghetto once stood. When you looked through the lens you see what the street looked like when the ghetto’s walls were still up. It’s a reminder of the city’s horrific past. Since we were in the neighborhood, Mark and I stopped by the Jewish cemetery. This is where we found the grave of L. L. Zamenhof, the inventor of Esperanto. I have a great respect for people who can speak more than one language. Even more for people like, J.R.R. Tolkien who have invented a partial language. But, this guy invented a fully functional language. It was supposed to be the lingua franca of modern Europe. But, it just never really took off. English is now, what Esperanto was meant to be. It’s nice, because I speak English and I don’t have to learn anything new. But, I’ve always wished that Esperanto were more popular. It would have been nice to learn an artificial language. Poland is part of the EU, but they do not use the euro. They use the złoty over there. Poland is in Europe, but things aren’t expensive. And, they don’t Euros; they use Zloty. Honestly the museum is boring at first. But once you pass the room with the red throne, the museum becomes interesting. The museum is not very big. It take about 8 minutes to see the whole thing. Sunday a short version of the Castle Tour is free. Keep an eye out for the gardens. The windows are usually covered by curtains. If you pull them back and pop your head through in the right room you will be pleasantly surprised. In front of the Museum of the History of Polish Jews. This is where Chopin’s heart is. What did you “do” in Amsterdam? …not pot. I wanted to, but the circumstances were never right. Let me start out with some information. It is legal to smoke, consume, and have small amounts of marijuana in the Netherlands. There are some conditions on buying and using weed though. Buying cannabis from some guy on the street is not allowed; neither is smoking on the street. You must buy marijuana from a coffee shop. I don’t mean that you can just waltz into a Starbucks and light up. 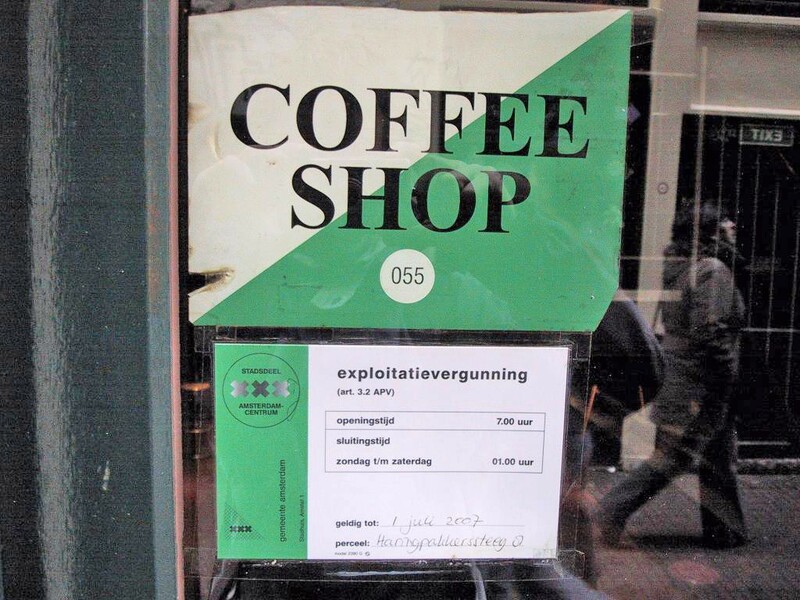 The coffee houses where you buy weed and smoke will have special green and white signs posted on the front window or door. Of course, you can take your stuff home and smoke it there, assuming your landlord is cool with that. We were staying at an Air BNB and our host didn’t want any marijuana in his house. We respected that, so the plan was to just get some pot brownies and eat them at a coffee shop. When I thought of a coffee shop, I went too literal in my mind. I imagined a nice place where little old ladies drank tea and got stoned. There would be lots of cakes and scones with tables and chairs covered in doilies. Do you have any “other” kinds of plants? The plan was that Mark and I would spend most of the day sightseeing and then look for a nice coffee shop in the evenings. We looked online and found a few that sold edibles. But, when we actually went to them I had no interest in going in. The coffee shops all looked like that area at school where all the stoners hang out. The coffee houses were all very crowded with many people sitting on the floor. Most people were smoking giving the place a very hazy look. And, 80% of the people there were young males who looked like they hadn’t seen daylight in weeks. Think dread-locked backpackers with dirty Che Guevara t-shirts. You know the kind who travel with a guitar. “Where do respectable people in Amsterdam go to eat pot brownies,” I wondered. The last thing I wanted was to be cramped in a smoky room for several hours eating mediocre treats around sketchy guys all while my clothes took in the odors of pot and cigarettes. I guess people like me, who live in Amsterdam, would just buy their brownies and take it home. I couldn’t do that. So I didn’t do anything. I just toured around the city then went home without any pot. The coffee houses might have had a different look during the day. If we had gone around noon, they might not have been so crowded; I don’t know. But, that would have meant giving up a day of sightseeing. We weren’t in Amsterdam long enough to waste a day and I didn’t want to try pot that badly. Maybe I’ll try some on my next trip to the Netherlands. 112 is the only emergency number in the Netherlands. Is Pot Actually ILLEGAL in Amsterdam? Only buy your drugs in the coffeehouses. Do not smoke weed on the streets or in parks. Stay out of the bike lane. Watch out for trams and electric buses. They don’t make much noise so, you won’t hear them coming. At the time of my visit, tickets could only be purchased online. It is not allowed to take photos in the museum. There is a section just for kids. I guess adults can look through there too, but it’s child sized. Look for the oldest wooden house in Amsterdam. It’s black. and metal relief in the cobblestones. Just fries with lots of flavors of sauces to dip them in. My favorite was Samurai Sauce. When I started this trip, I made all sorts of packing mistakes. I brought way too many things. I had the wrong type of things. And, with some of the things I really needed, I either didn’t have or I didn’t have enough of. No, do not get a carry-on spinner for a long around-the-world trip. Those things are just not easy to pull when you’re not dragging it on a nicely polished floor. It’s perfect if you will go from airport to taxi to hotel. If you have no intention of ever walking down the side of a road with your luggage, then by all means, get a spinner. But, if like Mark and me, you might have to walk from a bus stop or train station to your hotel, or if you plan on getting on a boat, then spinners are too impractical. Get a backpack. How big of a backpack should I get? Answer 2 questions. Do you plan on flying a lot? How much can you carry? If you plan on flying, which is really the cheapest mode of long distance transportation, you should get the biggest pack that still counts as free carry-on luggage. These are generally 30 liter packs or less. Then when you pack, make sure to keep the weight under 10kg but, if you can, get it under 7kg. Many airlines will say the limit is 7kg, but most of the time they don’t check as long as your pack doesn’t look too big and you seem to be holding it without struggling. It’s cheaper for them when you carry our own stuff instead of checking it. So, unless the flight is super full, no one will bother you if you kinda look like you could be sorta within the weight limit-ish. Keep in mind that some budget airlines also let you carry a purse or laptop bag in addition to the carry-on. But, some do not. Some airlines will require you to place all your bags into your carry-on. These airlines will, however, allow you to carry your coat or sweater in your hand. So make sure that everything you own can fit into that one pack once you’ve removed your coat. If you’re not flying or you plan to always check your bag, then you can carry a pack as heavy as you like. Generally, your pack should never be too heavy for you to carry for at least 20 minutes. Don’t expect that any of your travel mates will help you with your pack or that anyone will carry any of your stuff for too long without starting to hate you. If you’ve packed it, you should carry it. If you cannot carry it, you should dump it. What should I look for in a pack? Some mesh pocket on the outside of the pack for wet things. You will be traveling for a long time. If you think your pack is ugly, you will be tempted to buy a new one. If you want to buy a new one, go to Vietnam. This is where most name brand backpacks are made and they tend to be cheaper there. * This applies to both men and women. Keep those knees and shoulders covered. Try to buy clothes that are light and made of quick drying materials. Sports clothes are prime example of quick-dry clothes. Try to get sport clothes that don’t look so sporty. Normally, I buy the cheap flip-flops on sale at Old Navy or wherever. They cost about $1 or $2. They are fairly comfortable after a week or so of breaking them in. On the trip I wear my flip-flops to the beach or on warm rainy days, so my regular shoes stay dry. My Old Navy flip-flops were constantly failing me. When my cheapo flip-flops get wet, I fall… a lot. They have absolutely no grip. It doesn’t help that everyone in South East Asia likes to tile the front of their shops in marble making the sidewalk a giant slip-N-Slide every time it rains. It’s hard to stay upright when the floor is wet and you are wearing cheap flip-flops. One day I just got tired of slipping every rainy day and on every walk back from the beach. I found a shoe store in Bali where everything was on sale and bought a decent pair of Crocs flip-flops. These things are very comfortable and very grippy. I haven’t slipped during a rainy day since. How many of these should I bring? For many of these items, you really only need one. A rain jacket. A pair of water proof shoes. The rest depends on how often you want to do laundry verses how heavy you are willing to let your pack get. For clothes close to the body, like the running tights that you wear under your jeans in winter, I guess a minimum of 2. I’ve seen minimalist videos of guys who only carry the clothes on their back, a towel that doubles as a blanket, and something silly, like a ukulele or harmonica, because “all you really need to wear in life is a smile”. Personally, the things I only have 2 of are my wool socks, my running tights, and my light summer socks. These things are easy to wash while I take a shower and let dry over night and the next day. I wear one while the other is drying. I don’t want to have to do a lot of laundry everyday, so I have 4 shirts, 2 shorts (that I wear a couple times before washing), and 1 pair of capris. I’m a little more embarrassed about washing and hanging up my underwear just any old place, so I have a week’s worth of those. I should be able to find time and a private place to wash undies in a span of a week. I do a lot of washing by hand when I don’t have access to a free washing machine. Coin laundries tend to get expensive when you are washing every other day. They are made for doing 6 kg of clothes at a time and that is way more than Mark and I have. Some places, like south-east Asia, it’s very cheap to have someone else do your laundry for you. When it’s done well and in a timely manner that’s great. But, I have gotten back my clothes a few times smelling musty. Once I got my clothes back 2 days late. I have friends whose favorite shirt or shorts never came back. I prefer just to wash my clothes myself. You could buy a Scrubba, but that’s kinda expensive. Instead Mark and I just use an ordinary 5L dry bag. Just make sure to get a dry bag for kayaking and not ones for hiking. The ones for hiking don’t stay waterproof for long. They sacrifice durability for lightness. If you are washing clothes, you will need the bag to be hefty. And of course, when you are not washing clothes you will use it to keep your stuff nice and dry. Make sure to have a pinless travel clothesline. You can easily find one that is not too expensive. Of course by the time I realized that I needed one, I was already on my trip in some little town somewhere in Vietnam and couldn’t find one to buy. So I had to make my own with rubber bands, a carabiner, and some wrist bands Mark and I were forced to wear as guests of a hotel somewhere. It’s so easy to make. Keep in mind that rubber band clothes lines work best out of direct sunlight. The sun, causes the rubber to denature and break. The rubber band clothes line will last for a year out of the sun and for about a week in the sun. Having your own “washer” and “dryer” on a trip gives you the freedom to pack less clothes. You can wash clothes whenever you have water. (I wash my clothes in laundry detergent, body wash, soap, shampoo, hand soap, dish soap… Basically, whatever I have.) Then you can hang your clothes up where every you have space. Just make sure to towel them off so they do not drip if you are hanging your wet clothes indoors. This is one area where I wish I could give better advice. But, I can’t. I hate travel towels. They are expensive and most of them feel weird on the skin. They seem to wipe the water off your body rather than dry you. I’ve gone through many of them both the more expensive ones and the cheaper ones and they are all equally bad. Except for the last one I bought in Singapore. This one by N-rit actually feel smooth on my skin and acts more like a towel. I would not go so far as to say I prefer it to a nice fluffy cotton towel, but I do like it. It dries quickly and folds up very well. It even comes with a tiny bag it folds into and then it fits right into the waist strap pocket of my backpack. When you are looking for a travel towel, ask if you can test it out first. Dry your hands in it, if they will let you, and see how it feels. I would recommend getting the XL or XXL towel. The XL will be about the size of a normal sized towel and the XXL will be about twice as big as the XL. When you are traveling for a long time, you will start to hate your tiny towel if that is what you’ve packed. If you get the XXL towel you can use it as a blanket when you’re cold. You could also hang it on your bunk in your hostel for some privacy. Unfortunately, the XXL sized towels are like unicorns. I see them advertised as a size option, but I’ve never seen one for sale. I did manage to find two on this trip. They weren’t for sale though. They were gifts that came with something else. I don’t even remember what the something else was. I really just wanted the XXL quick dry towel. There are some things I look for in a travel liquid container. I find that the Johnson’s baby shampoo travel bottles works best for me. They stand on their heads just as easily as they stand on their bottoms. So many travel bottles cannot stand on their heads. This is very annoying when you’re trying to get the last bit of lotion out. If you can just make the bottle stand on its head, then the next time you go for lotion, it will come out without difficulty. They are clear and easy to see through. Sometimes, you don’t get good lighting in the shower. The worst thing is to get into the shower, get the water temperature just right, get your hair all wet, then find out you don’t have enough shampoo. The reason is that your opaque shampoo bottle, in the low light, gave you a false impression of how much shampoo you had left. They are easy to refill. I’ve had travel containers that can only stand on their heads. This means when it’s time to refill it, I have to get someone else to hold the thing while I use two hands to squeeze a bigger bottle of shampoo over the stupid container. JBS bottles stand on either their heads or bottoms. So, they are easy to refill. The only flaw with the JBS bottles is that they only come with yellow caps. I wish I could get some with other colored caps so it would be easier to distinguish shampoo, conditioner, and lotion. As it is, I have to remember what color everything is and how they smell. It’s so much easier to find things when they are placed in bags in your pack. I have a bag for electronics, a bag for toiletries, a few bags for clothes, and bags for other stuff. I keep ibuprofen in a Kinder Surprise container and have several Ziploc type bags handy. I also have a water-tight container with band-aides, pain meds, and a phone charger for emergencies that I keep at the top of my pack or in my purse. I also carry an extra cloth grocery bag with me in case I need a bag for whatever reason. In Japan and Europe I use it when I go shopping. In Japan it saves me from buying a $0.05 bag. But, in Europe, where most stores don’t use cheap plastic bags anymore, it saves me from having to buy a €2 cloth bag. Packing by putting items in bags makes it easier to go through security check at airports. Instead of taking out 50 things, you take out 5 bags. Repacking is easier too. It also helps when determining whether you’ve forgotten anything. After a while you just know the shape your bags should have. If a bag should be more full, you’ve forgotten something. Many travelers will try to find a restaurant with wifi and an outlet during meals to charge their phones and use the internet. But this takes up a lot of time looking for restaurants and costs a lot of money. The restaurants with outlets and wifi are indoor sit-down restaurants. The price of food at these places will be double, triple, or 4 times more than that of say, a food truck, grocery store, or a sandwich stand. Just like having your own dry bag and clothes line lets you do laundry almost anywhere, having your own charger and sim card lets you go almost anywhere without having to worry about wifi and charging your phone. The cost of the charger, which can charge 2 completely dead phones before needing to be charged itself, was €15. The cost of a meal in a restaurant for Mark and me was about €25-35. The cost of a meal at a food stand or sandwich place was about €10. So one could pay for a charger in just one meal. As for the sim card, it depends on the plan. I got one pay-as-you-go card with just data. It cost €20 for the card and €9 a month for 20G. Mark got one with data and phone minutes, and it cost €20 for the card and €15 a month for calls and 5G of data. Then he just tethered off of my phone when he came close to running out of data. I never came close to running out of data and I would watch Youtube on long bus rides. The amount of money we saved by not having to go to more expensive places to eat so that we could charge our phones or use wifi, more than paid the cost for the sim cards and charger. My clothes lines are pinless. So I’m not using clothes pins for clothes. I had 8, but one disappeared, so now I have 7. I use them for many purposes. When I’m in a hostel, I hang things up around my bunk. I take the clothes pins to the shower with me when there aren’t enough hooks. I pin things to the outside of my backpack when I need to. I use one as a toothbrush holder sometimes. They’re handy to have. I actually didn’t own a smartphone before this trip. I bought one in Hong Kong when I realized how much easier it made travel. First of all, it’s your information center. On your smartphone you can use google.maps, google.translate*, guide books, currency conversion rates**, and Wikipedia. It’s also your entertainment center with games, books, pod casts, and movies. You can also send quick emails to keep in contact with people back home, so they know you’re still alive. * I’ve never used google.translate on the trip other than to talk to other travelers who speak no English. 99% of the people you come across in the tourism industry will speak some English. You might not be able to have very long conversations with them, but they will speak well enough to sell you bus tickets, drinks, food, or do whatever their job is. ** I still recommend writing a little conversion rate chart. Something like: 1USD = 4 IMD; 5USD = 20IMD; 10 USD = 40 IMD… This helps you get used to assessing whether something is expensive or not without having to whip out your phone. You might not need a computer. I do, because I write. I also prefer games on my computer to games on my phone. So, if you bring a computer with you, make is a very small one. Headphones are very important. One, it keeps everyone on the bus from having to suffer through your horrible music or pod casts. 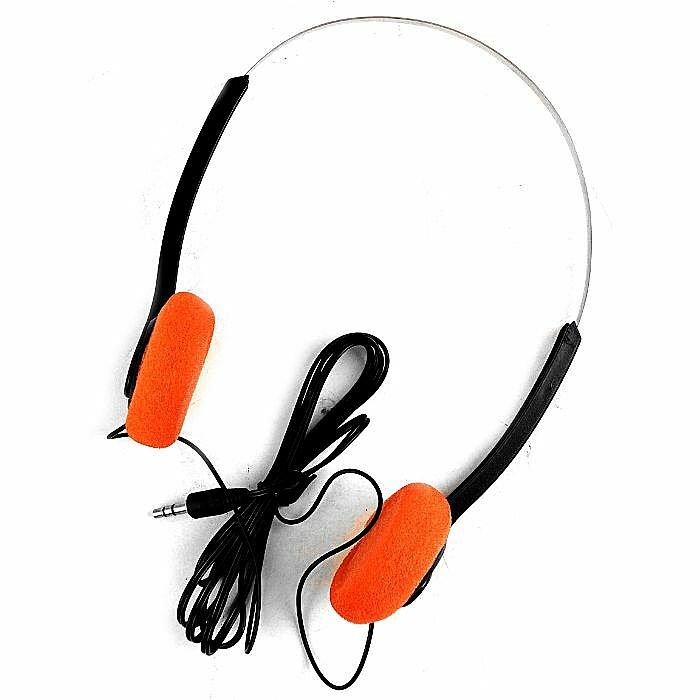 Two, you can use your own headphones when using audio guides at museums or on tours. I much prefer my own earbuds to the 80’s type headphones or the monobuds that come with most audio guides. It’s obvious why I bring the pen. The big Post-it notes are for note writing and sticking it to things if needed. The marker is for writing my names on things like food stuffs when I stay in hostels. And my flash light has come in handy on many occasions. I just have to make sure I know which pocket of my purse it’s in. Cute tape is for those temporary repairs that become permanent. If you have cute tape and your careful with your repair, you can almost get away with a “That’s how I want it to look.” I learned this when I had taped up a broken mechanical pencil I was using at work. It was supposed to be for a day, but I kept forgetting to buy a new pencil for work. Some of my students saw my pencil in class one day and oohed and awed over it. “Kawaii desu ne,” they squealed. They had no idea that I was just too forgetful to bring a new pencil to work. Sometimes you will need a lock. In many hostels you will be given a locker, but you have to use your own lock. I prefer a combination lock out of fear that I will lose the key. You are almost never given conditioner. Check stores like Aldi, Lidl, or Edeka. There are lots of hiking trails to explore. Stay out of the bike lane! It’s so easy to let your mind wander (and your feet too) and without realizing it, you’re in the bike lane. Beware of trains that split. Make sure you are not only on the right train, but in the right car on the right train. Look for the monitor on the train and check to see that the terminal station for your train line is correct. Try the foods in and around beer gardens and beer halls, especially if you are in Bavaria. You’re never too far from an inexpensive bratwurst. Just remember that sometimes “wiener” means “hot dog” but other times “Wiener” means from Vienna. As in Wiener schnitzel, Viennese style schnitzel. Sometimes the trains are late. Sometimes you can be stuck on a train for hours! Bring a good e-book, audio book, or movie. Once Mark and I were stuck on a train for 2 hours. It was just parked on the tracks. Everyone took out their snacks and beer and kept themselves entertained. Don’t forget to validate your ticket (where applicable). Sometimes it’s easier to rent a car. Germany has one of the most expensive public toilets in Europe. Always carry about 1.50€ in change with you at all times. Yes, the trains have bathrooms. Not the subway trains but, the ones that go out to the suburbs. At the mall the bathroom will cost about 0.50€. If you get a voucher from the bathroom, you can take it to the food court and get 0.50€ off the price of your meal. A lot of shops and museums are closed on Mondays. Check their websites for opening hours. Many grocery stores close early on Sundays. Watch out for pick-pockets in Berlin. If someone approaches you asking if you speak English and they aren’t wearing a uniform, be cautious. Generally, other tourists, cops, or staff members will approach you by saying “hello” first.